At BugEX we guarantee 100% customer service satisfaction! We understand that every household is different and a thorough evaluation is required to customize a preventive service treatment program that fits your needs. At your convenience, a FREE assessment consultation is scheduled with a licensed certified technician to determine the best course of action. Once the best service is selected, customers have the option to select from a treatment program of there choice: 1-time, weekly, monthly, 4 season or annual. 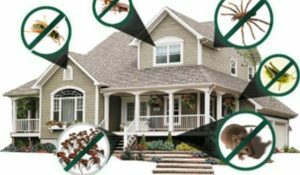 Our trustworthy technicians will not only solve your pest problems, but will educate you in precautionary solutions, preventing future pests. Since pest services do not only exist during 9 – 5 our emergency after hours team is available 24-7 to chat live with you or schedule a appoitment or Kindly, leave a message on our voicemail to alert an after hours team member and you will receive a return call ASAP.